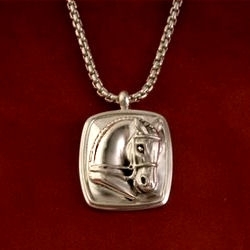 Classic Sterling Silver Square Horse Head Ring. 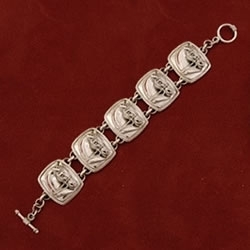 Measures 3/4″ Wide by 1″ Long. 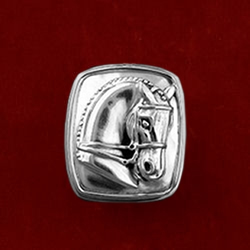 Love wearing this on a middle finger too for a dramatic look! 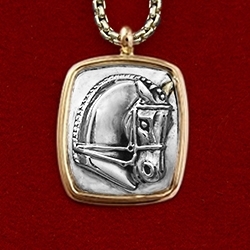 Also available with 14k trim or 14k horse head. 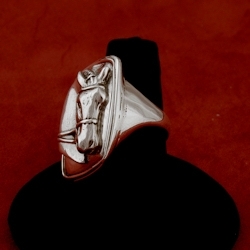 Classic Sterling Silver Square Horse Head Ring. 3/4″ Wide by 1″ Long.